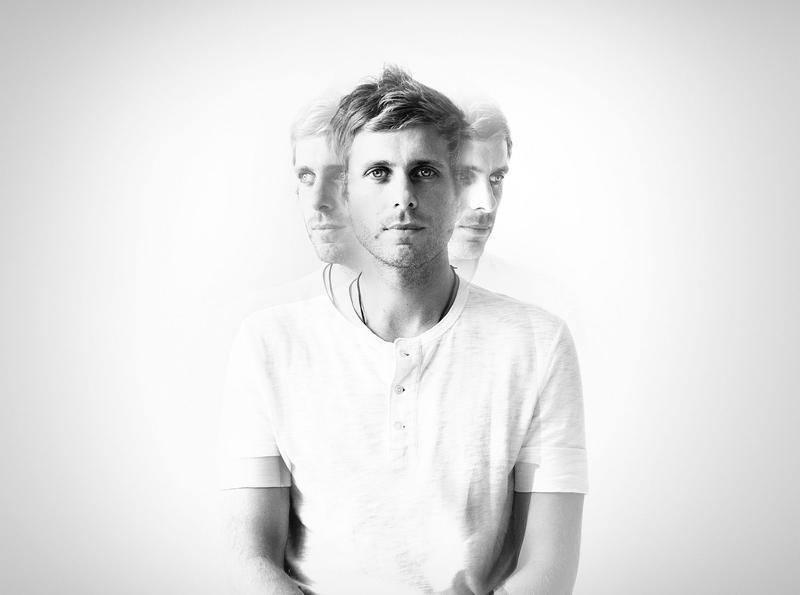 Awolnation: "I’m a music lover, I’m a big music nerd"
Mit der Hitsingle "Sail" gelang der Band Awolnation der internationale Durchbruch. Hier hört man die insgesamt markante Struktur, geprägt von einem spontanen Wechsel des Musik- und des Gesangstils. Die Instrumente bekommen Unterstützung durch elektronische Passagen; Sänger Aaron Bruno zeigt weiche und doch auch, wie in "Sail" bevorzugt, die aggressiveren Seiten seiner Stimme. Anlässlich ihres neuen Albums "RUN" sowie den beiden geplanten Konzertterminen am 25. März im PPC in Graz und am 15. August beim Arena Open Air in Wien hatten wir die Ehre, einen tieferen Einblick in die Band und ihre Hintergründe zu bekommen. UNIMAG: After your chart-topping debut album "Megalithic Symphony" released in March 2011 you have now announced your new studio album titled "RUN" for March 17. What can your fans expect from it? Aaron Bruno: I don't know how to answer that. I just, uh... - If you like the first record, you're going to love the second one. You've been signed to Red Bull Records for almost five years now. How did it come about back then? They offered me to use their studio in Santa Monica, CA for free with no strings attached, because they had listened to the demos that I had made. It was a great opportunity for me to use the studio and after the work I had done in the studio, they loved what they heard and offered me a deal. I thought it was great, a great deal. What had your primary aims and plans for the future been? When had it been obvious for you to be devoted to music mostly? I don't know when exactly I realized it could be a career choice; that I could actually, you know, pay the bills with. But I would say probably around the age of 19 or 20 I decided to take it very seriously and try to write songs that people could actually relate to and really get going and try to get a record deal and all that and get into the business side and take control as much as I could. I don't know what else I would have ended up doing; I didn't really have a backup plan, necessarily, it's just what ended up happening. It was just a nickname that I came up with myself, or someone else did, when we were free-style rapping. We were just joking around with each other as kids and it really wasn't too deep of a thought, it was more of a comedic title at the time and it related to maybe my social anxiety and the moments in High School and what not, keeping a very serious life fascination period and that's why I write a very serious song. Watching your Facebook page you can't overlook that you love surfing. You're also mentioning a connection between surfing and music. Could you define that? Well, surfing is what I love; surfing and music I love equally. Music is what I do best. I surf, to understand it, is almost impossible to explain, but imagine the best thing you ever had that can be love, or skydiving, or whatever it is that makes you feel the very best, basically, hugging your parents, or cuddling with your dog and cat. Imagine that on steroids and that's how surfing feels to me. It cleanses my soul, it keeps me grounded; it's a constant reminder of how small we truly are, how quickly you can be humbled by the color of the ocean. So it's really good for me to keep me grounded. The song "Sail" was and still is a raving success. For me it was something new after a long time of mainstream chart music, like an "ear-catcher". What was the intention of this song and what makes it so special in your opinion? I had no intentions at all with the song. It's just another song I wrote. And why it did well? It's a great song. It's different and I touched on subject matters that people wanted to, people were looking for, I guess. I said a couple of things people could relate to. The song keeps going and going and going. I mean, I don't know how or why it sold millions and millions of copies. Maybe because I was just being so honest, and people appreciate honesty in a world of a bunch of smoke and mirrors. There is confusion regarding the music video of "Sail". The first result searching it on YouTube is a weird selfmade version from two girls with countless clicks. After that there is your official version. I still haven't got it - could you explain me the mystery about these videos and why the girls' version had to disappear for a while? I don't really know. It became so big so fast, we didn't even know it was going to be a single, and those girls decided to make that video, which I still have never watched by the way, I've only seen the front of it. So you're not feeling mad about that? No, I don't care. It would be pretty silly of me to be disaccorded on something that has been done so well. I never really wanted to be a celebrity or be noticeable anyway, so if anything, the stars aligned to protect me from having to be too recognizable. I'm constantly evolving and changing, trying to grow up and become more mature and a better person. The last thing I care about is if people recognize me or how people think about the way I look, or if I'm on TV or not on TV or anything like that. I have no desires to be a celebrity or walk the red carpet of any kind. I'm just like you; I'm a music lover; I'm a big music nerd at the end of the day. I'm a super fan of the music I love, you know? Back to your new album : You've argued that every single element on the record serves a purpose. Could you clarify that statement a bit? I would say that I took a lot of time perfecting this record and I can vouch for every moment and every second of the record, I guess is what I meant. I put a lot of passion and heart and soul into this record, and I didn't leave any stones unturned, if you will, as it pertains to the production, the lyrics, the performance and all of the above. There's no fooling songs on the record; each one of them I love very dearly. Which recommendation you would give young people for their future? It's okay if you don't know what you're doing with your life. Especially as the general age, the average age for college students. I didn't know what I was going to do fresh out of high school. I've been trying to figure out what I was going to do all the way up until now or four years ago, five years ago it all happened for me. And all these other bands before, I had to get other jobs and do different things to pay the bills; I was in debt, I was broke. And just because you're that close doesn't mean you have to know what you're going to do with your life and career. There are so many people who have degrees who go on to do something completely different. Not to say those degrees aren't valuable for those people, but I think that we need, as a society, put a lot a pressure on ourselves to figure out what we're going to do at a young age, and then we evolve and things change. The world is evolving always. So I think we should be open to interpretation of life. And another thing I would say as a song writer: I believe you can always write better songs, so whatever your craft may be, you can always get better at that. So it's not the end of the world, if whatever your idea is at that time, or whatever it is that you're trying to put out, if it doesn't catch on or doesn't bring you some sort of wild success at first, just keep trying and you can always get better. If you don't know your power then you can't get better then you fail. So know about the desire and passion to pushing yourself to become greater.